The Hawthorne Boulevard Business District is a destination for eclectic shops, designer and retro clothing, distinctive restaurants, nightlife and neighborhood services. Since the early 1900’s, Hawthorne has stayed true to its roots and remains a destination for visitors and residents of all ages. Venture Portland sat down with leaders of the Hawthorne Boulevard Business Association (HBBA) to talk about what they love about the district and why they are proud to call Hawthorne home. Roger Jones helped found the HBBA in 1983 and owns Aetna Brokerage, a firm specializing in sustainable development since 1948. Kevin Caplener is Past President of the HBBA and a realtor with The Caplener Group, a real estate agency in the district started by his father more than 30 years ago. What is your favorite thing about Hawthorne? Kevin: Being able to work on Hawthorne and also live just up the street is a pretty unique thing. I love being able to walk out my office door and go down the street for a haircut or dinner or whatever I need. I enjoy getting to know all the business owners and saying ‘Hi’ to everybody as I’m walking down the street. Roger: I love supporting the authentic, organic, eco-friendly businesses in the district. Hawthorne is home to a variety of eco-friendly businesses including the HI-Portland Hawthorne Hostel, a 34 bed eco-hostel with sustainable practices that include a green roof and rain water collection. Other eco-friendly businesses include Hawthorne Auto Clinic, an “Eco-logical Business” certified by the Pollution Prevention Outreach Team, Memento PDX, a shop that carries an eclectic mix of soaps, candles and cards, Hawthorne Wellness Center, a clinic powered entirely by renewable energy and New Seasons Market, a grocery store with eco-friendly features like bioswales and bike parking. 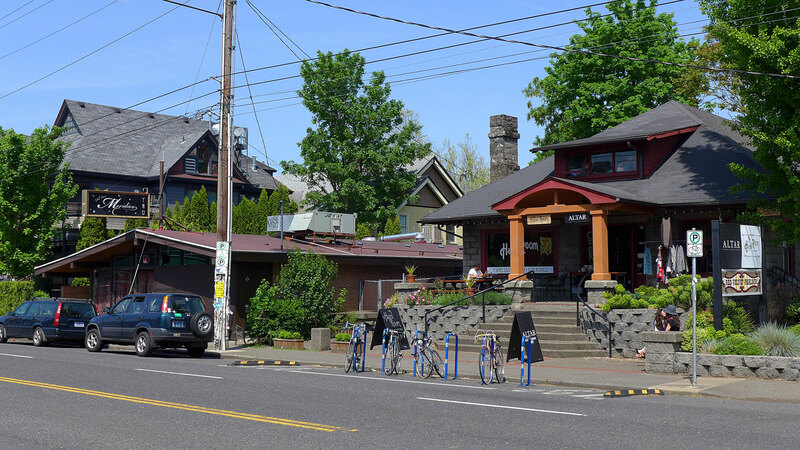 Hawthorne is also one of several business districts that make up Sustainable Southeast, a grassroots organization supporting sustainability efforts in Southeast Portland. How has Hawthorne’s identity changed over time? Kevin: Thankfully it hasn’t changed too much like some of the other business districts. You have a lot of businesses that have been here a long time. Hawthorne is actually home to the second oldest business in Oregon, Holman’s Funeral Service. Some of my favorite restaurants have been around for at least 20 years. Most businesses have changed in a good way, by improving their shops but still keeping with the original feel of Hawthorne. Roger: The Birkenstock wearing, tree hugging, eco-minded citizens who have been here a very long time have been blessed with the growth of a sustainable business district that has attempted to avoid gentrification at all costs. If you don’t have a plan and don’t work together with your community to make it sustainable it will spin out of control. Since 1854, Holman’s has provided families in the Portland area with funeral and cremation services and facilities. Holman’s present location on Hawthorne Boulevard was originally built in 1902 and has several visitation rooms, one of which served as a bedroom for Teddy Roosevelt when he visited Portland in 1911. How has the business mix on Hawthorne changed? Roger: Hawthorne has a successful business mix that has stayed stable over the years. If it aint broke, don’t fix it! Kevin: There’s not a lot of turnover in the district. You don’t see new shops every week but I enjoy going to my favorite places and getting to know the owners. Hawthorne is home to many longtime businesses including the first ever Fred Meyer grocery store which recently underwent a major rennovation to receive a Silver LEED Certification, the first grocery retailer in Oregon to receive the designation. Fred’s Sound of Music is a home theater and stereo specialist that has been in businesses since 1948. The Space Room, a funky lounge, has been ‘in orbit’ since 1959 and JaCiva’s has been churning out delicious chocolate creations since 1986. Hawthorne has also attracted a variety of new businesses that are bringing even more energy to the Boulevard. Mink is a women’s boutique that features clothes from a variety of designers, Portland Cider House serves up 28 different kinds of Oregon-made ciders and meads, Altar is an alternative handmade fashion boutique and Bazi Bierbrasserie is a Belgian beer and soccer bar that was ranked as one of the top 100 beer bars in America by DRAFT magazine. Why do you think Hawthorne attracts such an eclectic mix of businesses? Kevin: Hawthorne feels like a partnership with all the businesses together. We all support each other and work with each other to help improve. People know what to expect from the businesses that have been here a long time and they continue to return. Roger: The customers want to shop local, live local and have a sense of place. HBBA’s mission is to make Hawthorne the best place to work, shop and live. 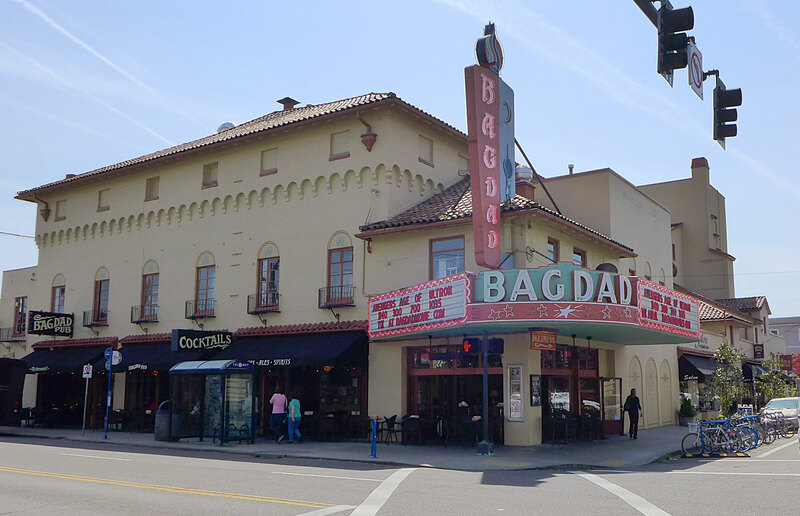 One of Hawthorne’s most recognizable landmarks is the historic Bagdad Theater. Built in 1927, it was the site of the premiere galas for multiple films including ‘One Flew Over the Cuckoo’s Nest’ and ‘My Own Private Idaho’. Now owned by McMenamins, the theater’s interior features barreled arches, ornate wrought-iron fixtures, brilliant mosaics and painted Mediterranean designs and characters. 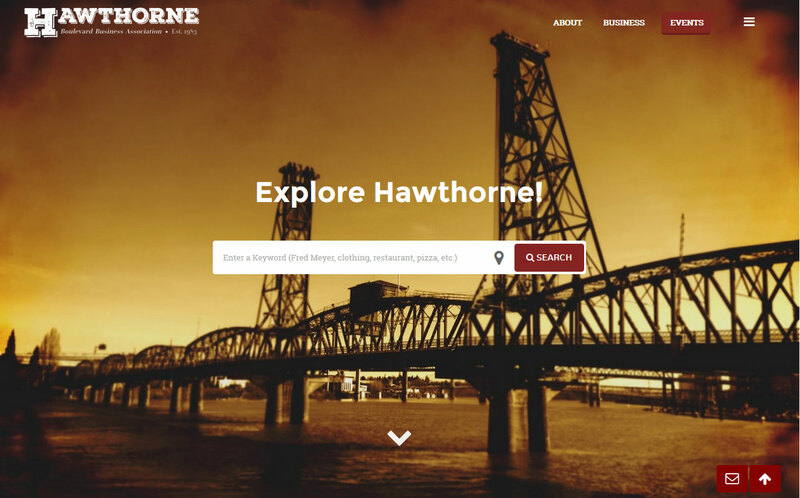 Hawthorne includes two of the most desirable zip codes for Portland real estate. Why do people want to live near Hawthorne? Kevin: I think it’s all about walkability. Have you heard the term ’20 Minute Neighborhood’? Hawthorne is a ‘2 Minute Neighborhood’. You can get whatever you want within a few minutes. I can walk down to Modern Man to get my hair cut, 3 Doors Down for dinner, the Bagdad Theater to catch a movie or New Seasons to go grocery shopping. Roger: You can get it all here and then some. People come from miles around to get whatever they need. Hawthorne is a destination not just for locals but also visitors. If you don’t live in the neighborhood, Hawthorne Boulevard is easily accessed by the 14, and 75 busses. For bicyclists, SE Salmon Street and SE Lincoln Street are both designated greenways. Visit trimet.org for more information. What would be the soundtrack for Hawthorne? Roger: I love things from the sixties. That’s the soundtrack – the sound of the Hawthorne that I grew up on. Kevin: I’d have to go with ‘What I Got’ by Sublime. Live music can be found every night of the week along Hawthorne Boulevard. Catch a show at the Hawthorne Theater, a former masonic temple that now hosts all-ages concerts or the Alhambra Theater, which first opened in 1913 as a vaudeville theater. What would be your perfect day of food on Hawthorne? Kevin: Ever since I was a little kid, my parents used to take me and my brother to the Hawthorne Street Café in the Radio Flyer wagon. It’s a good spot to sit outside for breakfast. For lunch, it would have to be good ol’ Nick’s Famous Coney Island. I’ve also been going there since I was a kid and have probably been there every year for my birthday since I was 7. 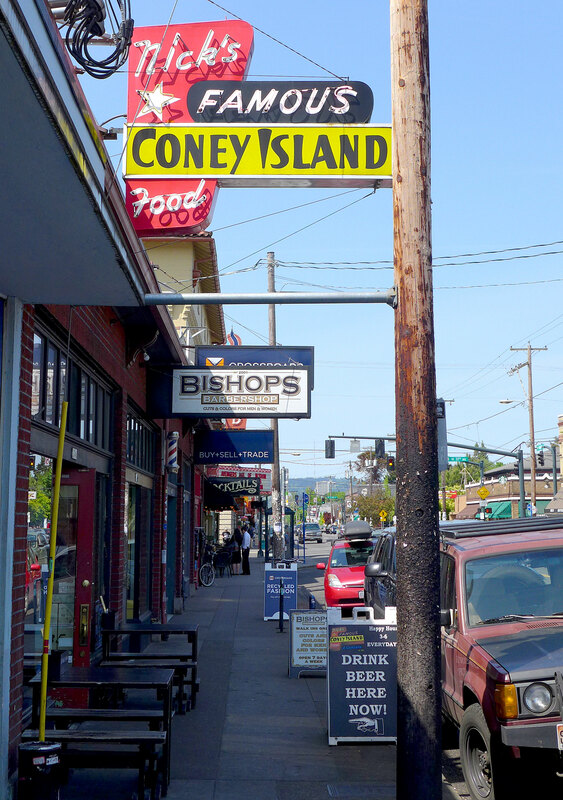 It’s a great spot to sit outside and have a Double Coney Dog in the most happening part of Hawthorne. For dinner it’s definitely 3 Doors Down. It’s always been my favorite spot on the boulevard. You always see a familiar face when you go in there. I also have to mention my 2 favorite bars: The Sapphire Hotel and Gold Dust Meridian. Gold Dust Meridian is in a mid-century building that has a very cool, cozy interior. You kind of feel like you are in the 50’s sitting inside having a martini. The Sapphire Hotel has had the same staff for the longest time, I know the bartender and owners well. They are always so friendly. It’s awesome. Roger: I’d have lunch at Bread and Ink Cafe. They are a historic business that has done the walk. Dinner at 3 Doors Down. They have been doing incredible, locally sourced meals forever which attracts people from everywhere so they are always full. You may have to call and beg for a reservation sometimes but they always get you in somehow. 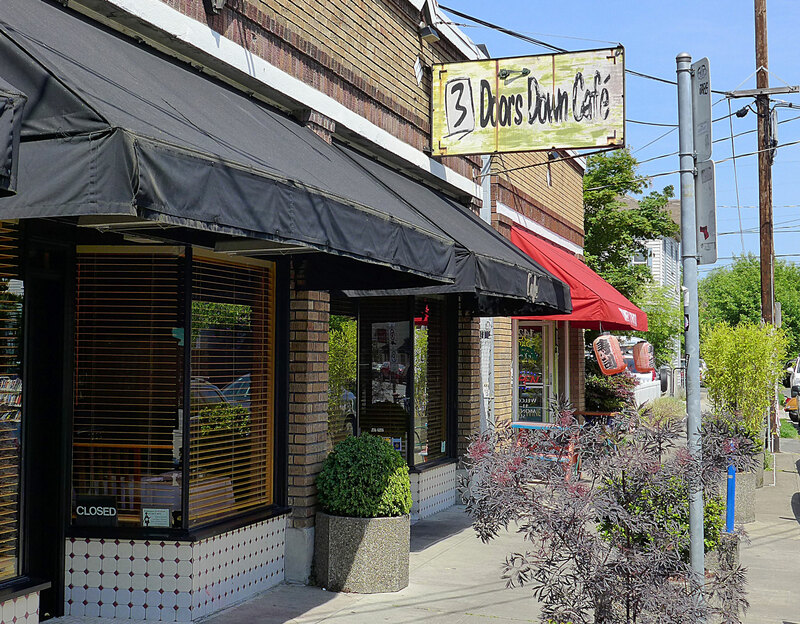 3 Doors Down has served up traditional Italian cuisine with a French flair since 1994. The restaurant also prides itself on its wine list, featuring over 150 locally produced, national and international bottles. Nick’s Famous Coney Island is a friendly neighborhood sports bar that has been serving up comfort food, including their legendary Coney Island hot dog, since 1935. The Sapphire Hotel is a cocktail lounge housed in the former lobby of an early 1900’s hotel. Once frequented by sailors, travelers and ladies of the night, the hotel’s upstairs is now upscale apartments. Multiple Hawthorne restaurants were featured in Portland’s Top 50 Favorite Restaurants by the Portland Business Journal including Castagna, one of Portland’s most adventurous kitchens, and Por Que No?, a taqueria built with recycled materials that uses local ingredients. And don’t forget about Apizza Scholls, a popular pizza shop that was ranked one of the Best Pizza Spots in the US by Food and Wine magazine and hand crafts their pizza dough in-house. Kevin: Tabor Bread. They are a newer business that just did a fantastic job remodeling their shop. They use fresh, local ingredients and the owner lives in the neighborhood. It’s a little bit off the beaten path up by SE 51st and Hawthorne. Discover more hidden gems at Hawthorne’s many vintage clothing and furniture stores. Find your favorite styles at Naked City, a small boutique with a big selection of fashionable pieces, shop Vintage Pink for mid-century, industrial, kitsch and deco fashion and home goods and Asylum, a shop that features both mid-century modern and contemporary furniture, lighting and gifts. Kevin, as Past President of HBBA, what has been your favorite accomplishment? Kevin: Thanks to Venture Portland grant opportunities, we were able to launch events like the Hawthorne Holiday Stroll which has grown to be very successful. Roger, as a founding member of HBBA, what has been your favorite accomplishment? Roger: I appreciate the honesty of people who have gotten involved in the business district itself. At the HBBA Annual Meeting we had over 100 attendees; many of which have been involved since the HBBA started in 1983. I think that in itself speaks to the sustainability. The most important thing to me is to keep the door open and keep communication flowing. What future plans for the district are you most excited about? Roger: The Hawthorne Street Fair. Last year we were able to close Hawthorne Boulevard for the first time ever. Having the street car-free made the event even more community oriented. It has empowered the community to get together and have a coalition between the retailers and new customers. I’m proud to be involved with it for all these years. Kevin: The launch of HBBA’s new website. I think it’s going to help bring more tourists to the boulevard which is really important for a lot of our businesses. Hawthorne should be one of the top 10 destinations for anyone visiting Portland. The Hawthorne Street Fair is on August 16 from 11am-7pm. Also, keep a look out for the Hawthorne Holiday Stroll and Gift Guide in December. Learn more about Hawthorne at hawthornepdx.com.